WOW! Top Floor, Largest 1 Bdrm W/ 11 FT Ceilings, Best Location in Gated Peachtree Place! Kitchen w/ Granite Counters, Stainless Appliances and Tile Floor. Huge Bathroom w/ Double Sinks, Travertine Tile surrounds Tub/Shower w/ new Fixtures. Laundry w/ W/D. Master Bdrm w/ 2 Huge W/I Closets. Very Private Covered Tiled Porch. Covered Parking Space just steps to front door. 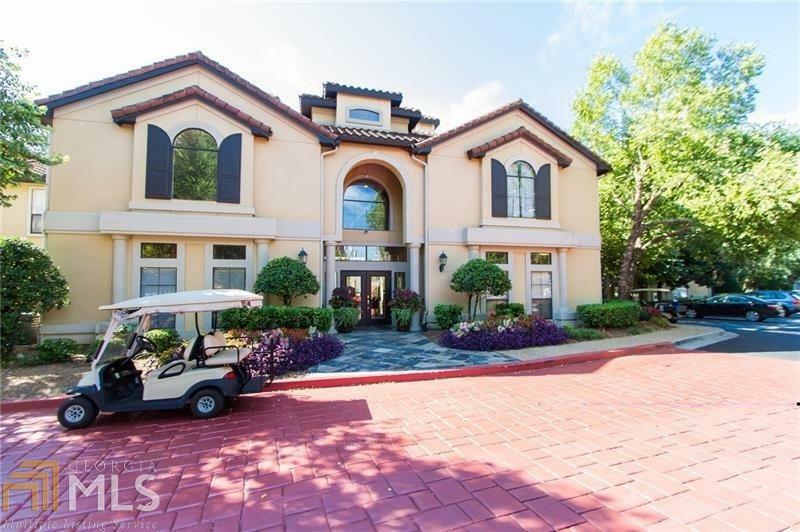 Beautiful Clubhouse, 2 Level Fitness Center, Resort Styled Pool, Theater Room, Pool Table, Dog Walk, Business Center, 24 Hour Package P/U System, Water/Sewer, Trash, incl in HOA.